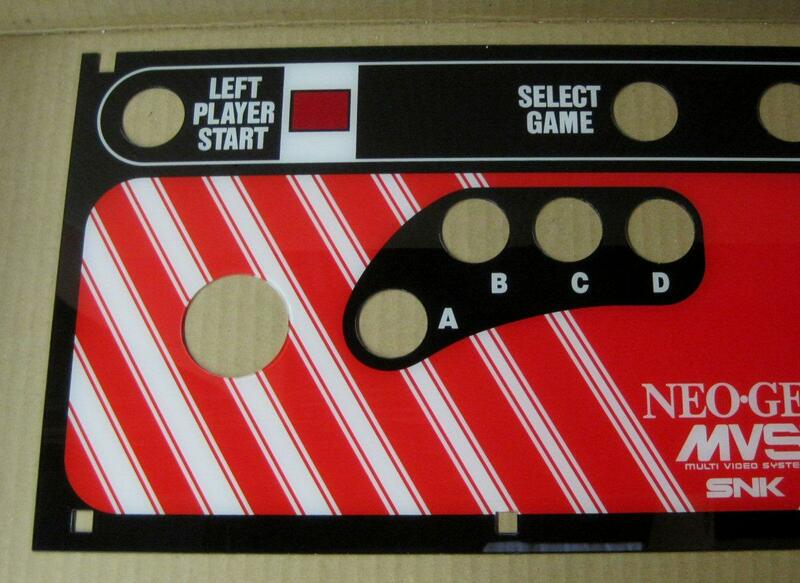 Brand new reproduction SNK Neo Geo MVS dedicated 2/4-Slot control panel overlay. These overlays were made to exact specs of the original, they are screen printed on the same material originally used by SNK (PETG glass, which is similar to plexiglas). All of the holes on the panel are laser cut (including the square bolt holes). The colors were matched using an original new old stock (NOS) CPO. The red LED window was printed just like the original as well. We did print these using thicker PETG glass for better durability. See pictures for more details, these are really a work of beauty. 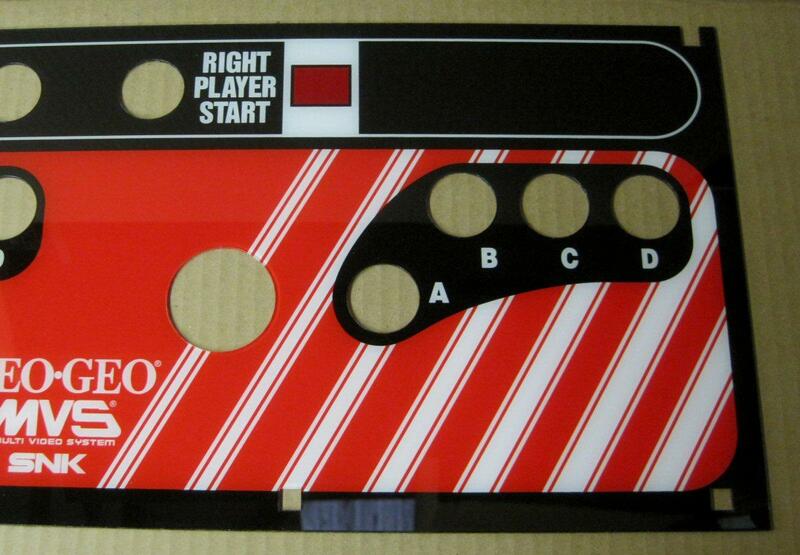 Note that this is for the dedicated 2 or 4-Slot Neo Geo machine and measures 23 9/16" x 9 3/16". Also note the button layout, this panel's button layout as the "B,C,D" buttons lined up together. We believe there is another version out there with those buttons staggered (we do not have that version at this point).